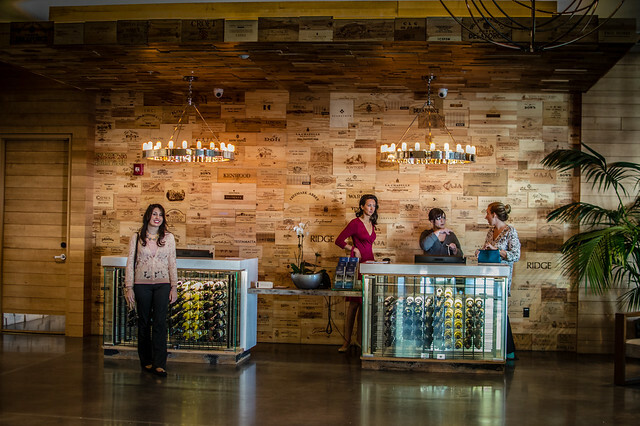 It’s not your average reception area — wine racks are desks and the ceiling and walls were made with crates from Bern’s Steak House’s legendary wine collection. Although, you could just as likely be met curbside by a wandering host who will welcome you and check you in with an iPad. 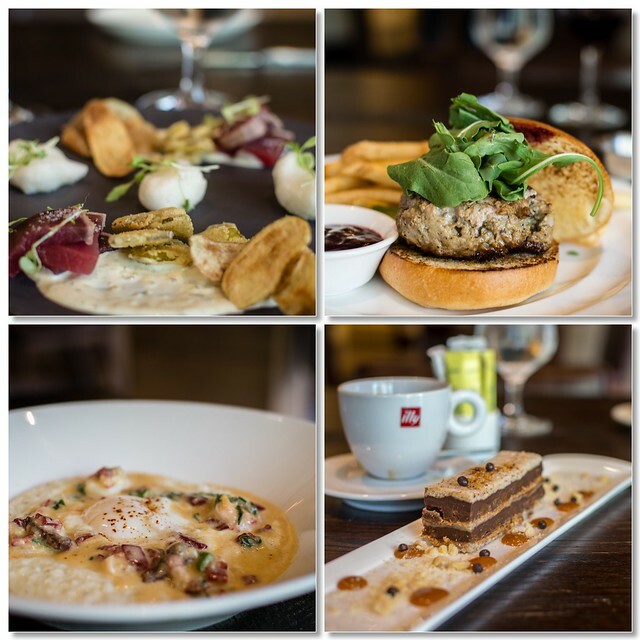 The Epicurean is a collaboration of the ‘best of the best‘ in the hospitality industry. 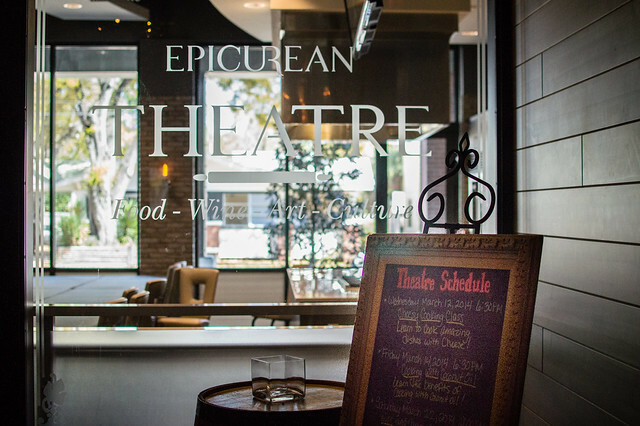 Set in the tony Hyde Park section of Tampa and close to all the sights and attractions, the Epicurean is the brainchild of the Bern’s Steak House family, owned and operated by both Bern’s and Mainsail Lodging & Development and a member of the Autograph Collection of the Mariott International family. While a relatively small property there’s much to show and talk about so I’m adding a slideshow at the end and capsulizing some interesting tidbits below about the various components that make the Epicurean a special place. 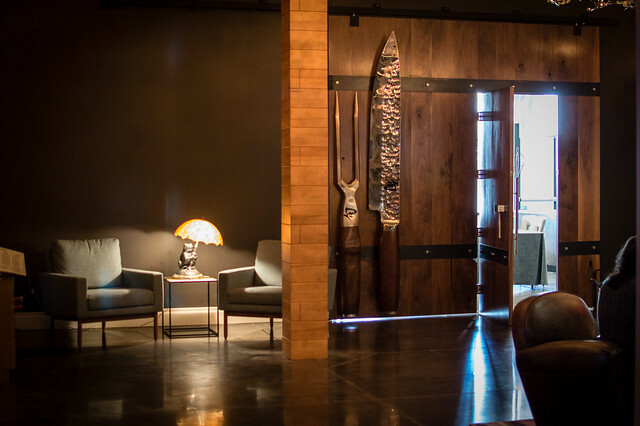 It’s all about titillating the senses while offering top-notch service and comfortable little public spaces that are surprisingly warm and relaxing. Everywhere your eyes wander, there’s something of interest. 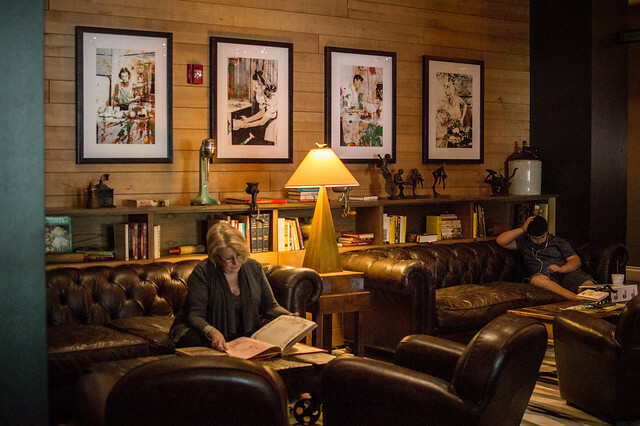 The decor is a well-appointed melange of rustic, nostalgia and modernism — pieces made from Kentucky-sourced wood, custom-made Venetian plaster walls designed by local artists, kitchen antiques and a strong presence by their A+ partners, like Viking and Shun Cutlery. There’s also a clear effort to showcase local artisans and farmers. 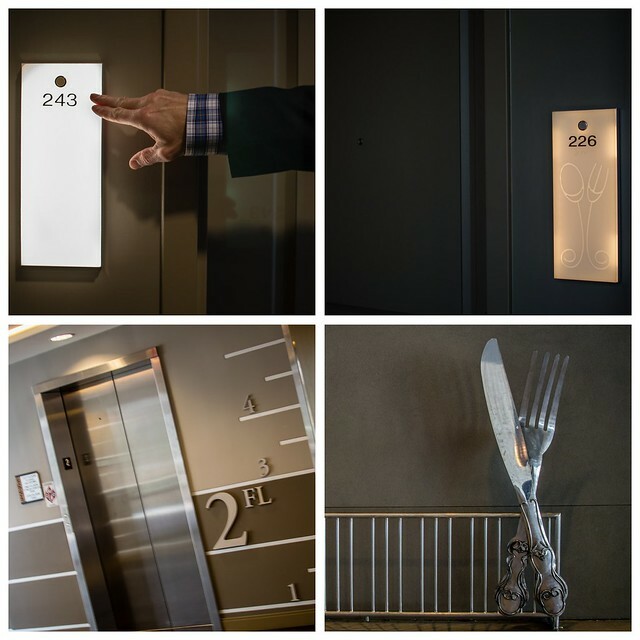 Adding a touch of whimsy to the food and wine-theme, little surprises await guests as they make their way from parking to rooms via elevators that depict floor numbers with a measuring cup motif and lit panel room entrances which, by the way, you don’t have to insert key card into – just a wave will do it. Under the direction of Chad Johnson, a James Beard semi-finalist, the Élevage restaurant offers a creative (and sometimes playful) selection of items, like this appetizer take on “fish and chips” with seared tuna, fried pickles, malt vinegar chips and foam. Also shown: Duck, Duck, Goose Burger with Black Currant Ketchup, Shrimp + Grits with Pork Belly, and a praline and chocolate dessert. 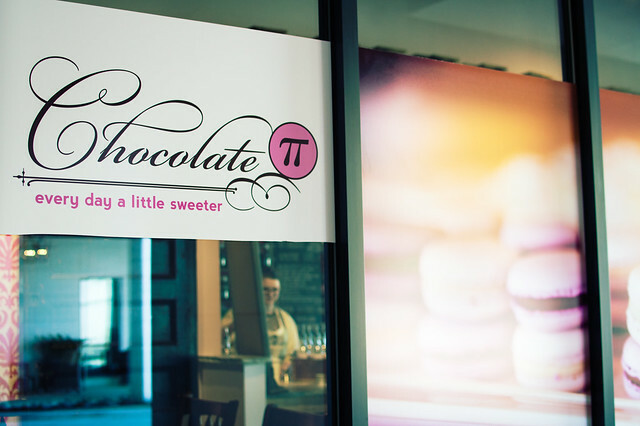 Chocolate Pi is the on-premises patisserie which is also part soda shop, part candy store. A definite delight for the sweet tooth. 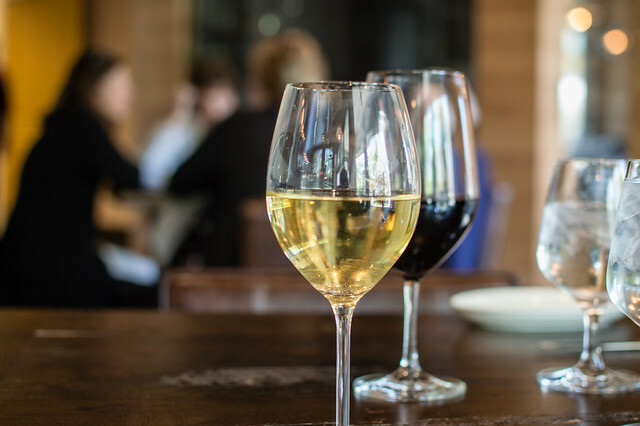 This space is fully equipped with top-of-the-line equipment and seats about 40 people for live culinary and mixology discussions and demonstrations. 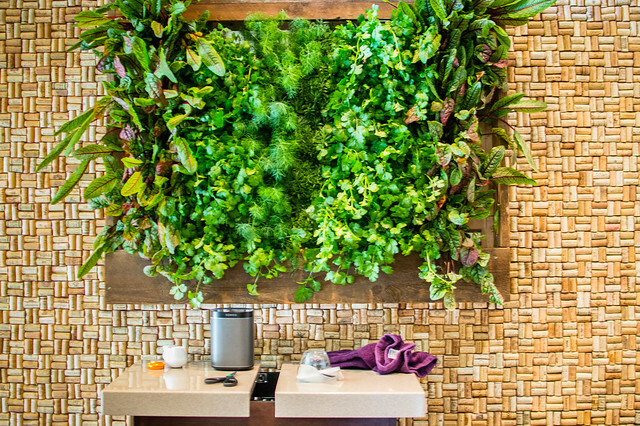 The newly-opened Evangeline spa continues ‘the theme’ using aromatic herbs from a living wall garden and treatments with such intoxicating names as: Hot Whiskey Sour Massage, Grand Cru Anti-Aging, Dulce Delight and Quintessential Cabernet Massage. The hotel has a banquet room that can be split for 2 events and two large outdoor open spaces on the pool level and second floor patio. 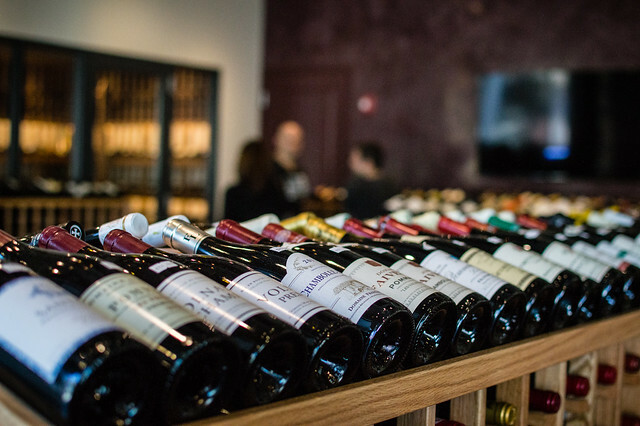 In addition, indoors, a lot of the furniture was built on wheels so things can be moved around and reconfigured at will — like the wine shop, where all the center store wine racks are on wheels and rolled to the perimeters for Friday night wine tastings and other events. 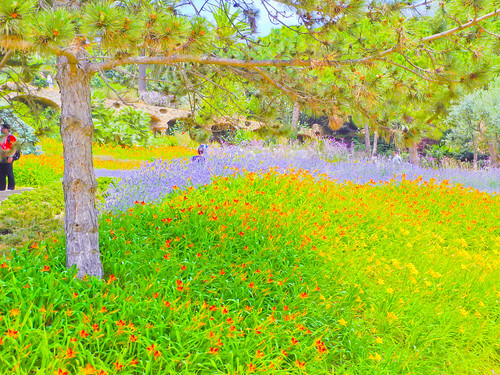 Please take a moment to enjoy other images. Thanks for sharing such a special place with us Joan. What a fascinating concept. 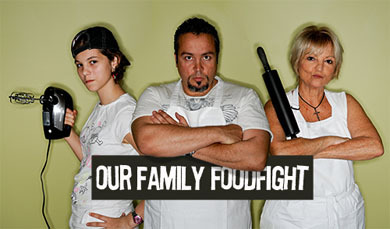 I marvel at our modern world and the changes we have seen in the service industry in our lifetimes. Thanks for sharing this, Joan. Fascinating. After reading your post and viewing your fabulous pictures I will just have to go to Tampa to check it out first hand. How cool, I just sent this to my SIL who lives in FL. I need a trip to Tampa! Very interesting and will check it out when we visit Tampa. I have wanted to go to Tampa for a while now but not sure where to stay. You have now made it possible for me after seeing this post. An absolute oasis. Everything is so beautiful and after looking at the food I am definitely grabbing the husband and going there. Thanks for sharing. 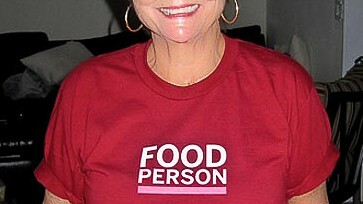 and have gotten so many responses. 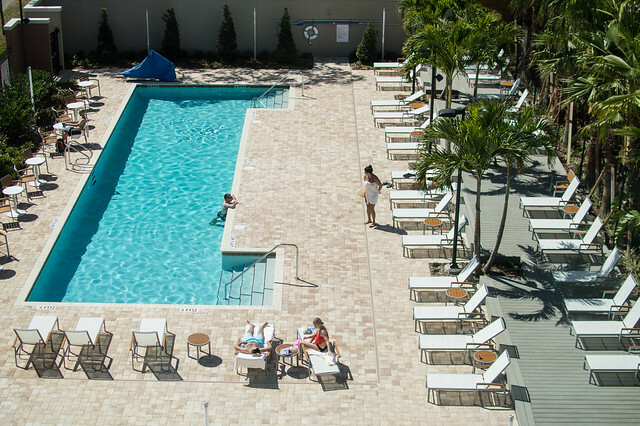 enjoy the amenities they offer and that roof bar is a bonus.